What transforms a humble car ride into an epic road trip? The distance travelled and the sights that are seen both contribute to the experience. Yet for a successful road trip, a bit of planning can ensure that you’re able to whizz down the motorway in high style and comfort. Enjoying every minute just a little bit more. A road trip is often cheaper than flying long distances and allows you to reach out-of-the-way attractions that would be difficult on public transport. However, it’s also easy to underestimate the total cost of the journey which could lead you to feel a real strain on your wallet by the end of your drive. Fortunately, you can plan ahead to create a holiday budget and avoid living on instant noodle cups for the final leg of the journey. You’ll want to factor in the cost of fuel, accommodation, car rental or purchase and food. It’s easy to forget additional costs like parking, entrance fees to national parks and insurance. These are the ones that can take a bite out of your budget. That is why you should always give yourself a cushion of emergency cash. 2. Drive a road-ready car. Your car is going to be a major player in the success of your road trip. Make sure it’s roomy, comfortable and in tip-top condition. The right type of car for the journey will depend mightily on your itinerary. Are you planning an East Coast tour of the USA from Florida to Maine, passing through urban areas? Then something sporty with good fuel economy would suit you well. You might want to read a detailed Mazda 6 review with Motoring to get a feel for options. On the other hand, you’d want to read Jeep reviews if you were planning to hit the Australian outback. Look at factors like cargo space, fuel economy and safety features as you compare your options. 3. Bring a paper map. You may have chosen a car with a built-in Sat-Nav or plan to use your smartphone for directions. 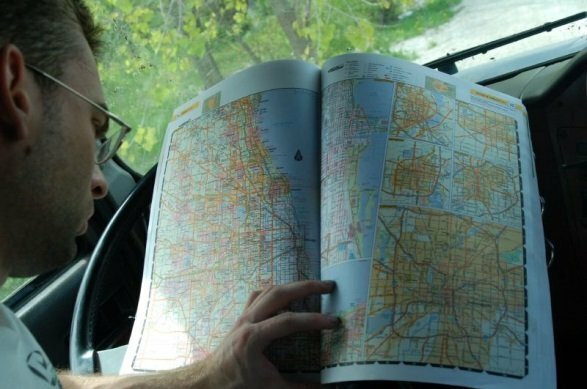 It’s hard to beat the accuracy of a good, old-fashioned paper map. If you’re travelling to remote areas, you might not be able to get a signal and you’ll still need to be able to find your way to those spectacular waterfalls or hidden campsites. 4. Don’t over-plan the journey. One of the biggest mistakes you can make is trying to cram too many points of interest or miles into each day. Cut your travel time and give yourself plenty of space to stop at all of the bizarre roadside attractions and kitschy diners along the way. The best adventures tend to be spontaneous on a cross-country road trip. Make sure to follow your urges and take a break when you see something that piques your interest, whether it’s a shimmering lake or a palace made out of corn. 5. Make your car a home. You’ve already chosen a car that ticks all the practical boxes, but for the best road trip experience you’ll also want to stock it up with great tunes, great friends and plenty of snacks. Bring along some pillows and blankets for backseat passengers and don’t forget a first aid kit for emergencies. Deck out your car with the comforts of home and you’ll enjoy passing time enjoying all the sights of the road. Most importantly, sit back, relax, and enjoy the ride! Road trips provide the ideal way to get away from daily life and see something new. Plus, you will never know what adventure you might create when you do! 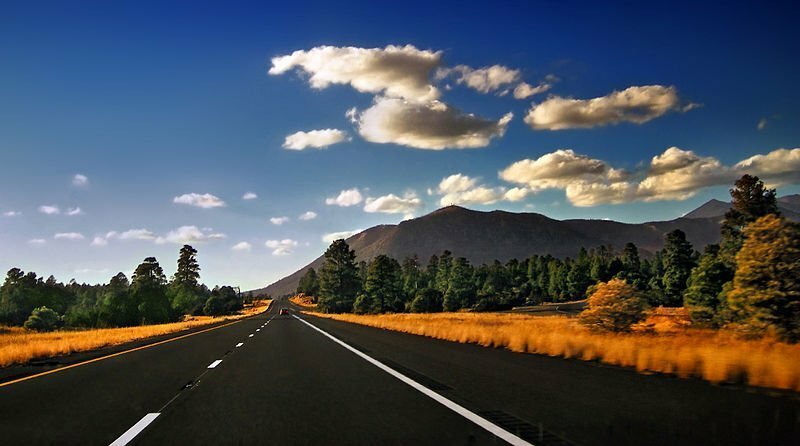 When’s the last time YOU took a road trip? Wow, that\’s quite the trip!! Those are all really great trips. My partner and I try to take a road trip every summer, and I would agree with everything you said, especially 4.